October is Breast Cancer Awareness month. In the Twitter world the pair of phrases #blessed and #breastcancer appeared together in more than 25 tweets between October 1, 2013 and October 22, 2013. The #breastcancer hashtag appeared without #blessed over 1100 times during this same time period. Twitter users were feeling blessed to be a survivor, know a survivor or be able to donate to research and spread awareness. It was through these tweets, that I was inspired to create the four artworks below. I hope that these images can bring a sense of peace or pride for survivors. 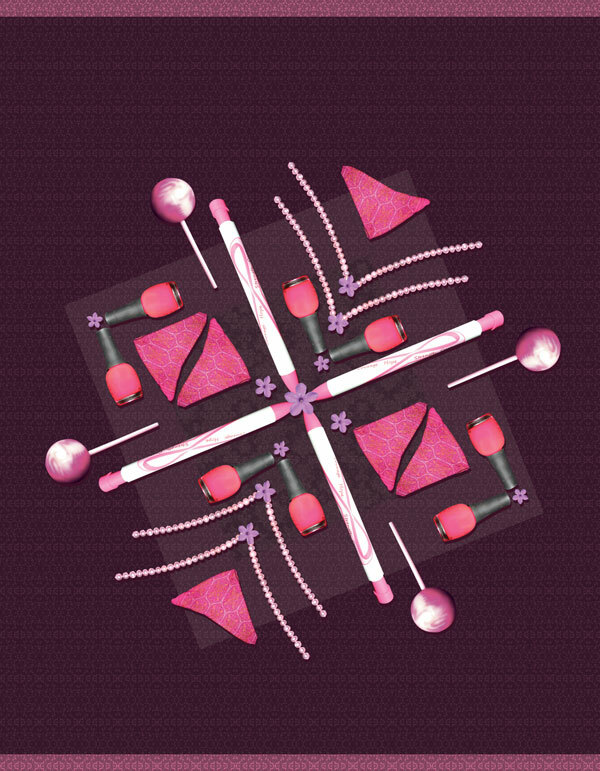 The colors and objects were chosen to celebrate femininity and sexuality that is still present in survivors. 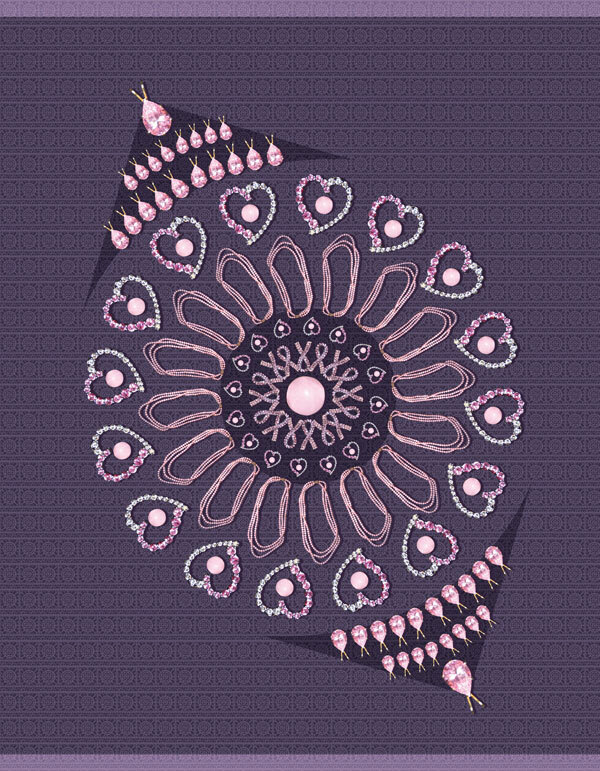 My design inspiration for these pieces comes from kaleidoscopes. 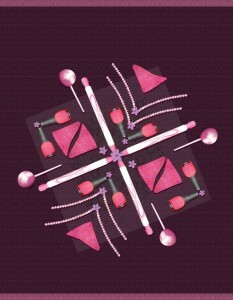 I wanted to pair the symmetrical and balanced designs from this childhood toy with feminine objects that I owned. Womanly objects such as jewels, pearls, ballet flats, and beach hats were photographed and placed alongside of pink ribbons and breast cancer awareness products. 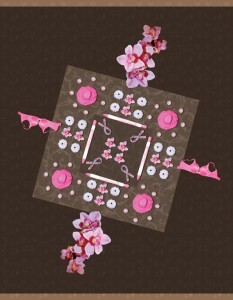 In each piece I wanted the breast cancer ribbon to be near the center of the design. Consider buying one of these prints for the survivor in your life. Available in clothing, home decor, and more. 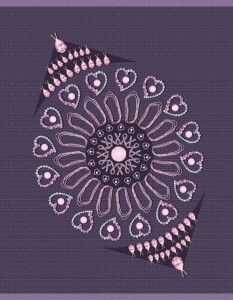 Tags: breast cancer art, breast cancer awareness posters, breast cancer design, christian design, kaleidoscope designs, photography patterns, religious design.